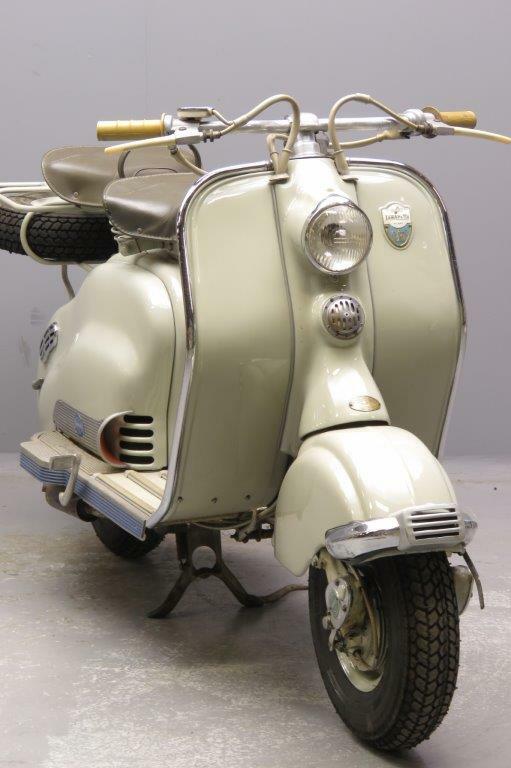 The story of the legendary Lambretta scooter begins in 1922, when Ferdinando Innocenti moves to Rome from his native Pescia for the purpose of building a steel tubing factory. In 1931, he takes the business to Milan where he builds a larger factory that produces seamless steel tubing and employs about 6,000 people. The factory is heavily bombed and destroyed during World War II. When Innocenti views his war damaged homeland in 1946, he sees the roads torn up, cities levelled, and the populace left with little means of transportation. He reasons that the answer to the transportation problem is the motor scooter: a vehicle with production costs that is inexpensive to operate and will offer better weather protection than a motorcycle. 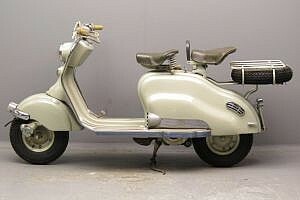 The main stimulus for the design style of the Lambretta (and also the Vespa) dates back to pre-World War II Cushman scooters made in Nebraska, United States. These olive green scooters are in Italy in large numbers, ordered originally by the United States military as field transport for the Para troops and marines. The United States military used them to get around German defence tactics of destroying roads and bridges in the Dolomites (a section of the Alps) and the Austrian border areas. 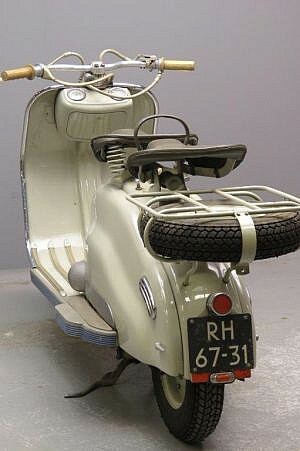 The production of motor scooters begins in 1947, after one year had been spent in developing and testing the prototype model. 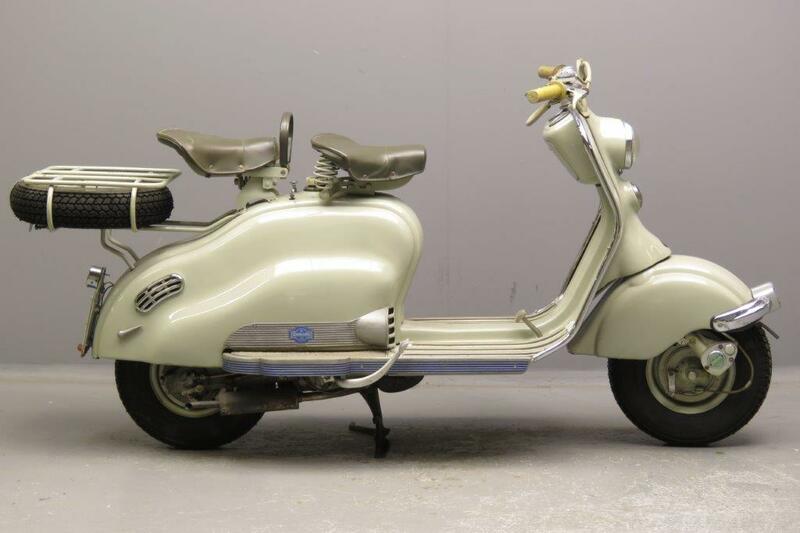 The first Lambretta is quite naturally named the Model A, and it features a single-cylinder two-stroke engine with a bore and stroke of 52 by 58 mm. 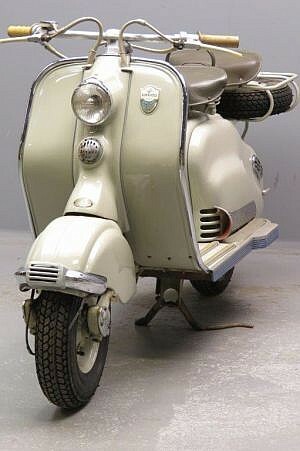 This provides a displacement of 123 cc, and 4.2 bhp is developed at 4400 rpm. Operating on a 6:1 compression ratio, the Model A delivers up to 40 kilometres per litre, which is a strong selling point in petrol scarce Italy. This first model undergoes constant development and in 1954, the company responds to the Latin demand for greater performance by introducing a 150-cc engine with a bore and stroke of 57 by 58 mm. The compression ratio is 6: 1, and 6.05 bhp is developed at 4600 rpm. 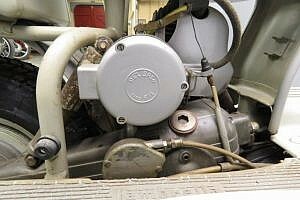 The engine delivers a very good 45 to 50 km per litre, which is still an important matter in nearly all of Europe. Two models are produced, the D and the LD. The Model D is an open style without fancy panelling to cover the engine, while the LD features sleek styling for those who can afford the higher price. Both have a three-speed gearbox with ratios of 4.75, 7.5, and 12.9. Both models also use 4.00-8 tires, but their weights are different at 80 and 94 kg respectively. This LD was sold new by Amsterdam dealer J. Leonard Lang in April, 1955. With the machine come some early documents such as original bill of sale, guarantee card with service history, insurance policy and driver’s licence of the first owner. 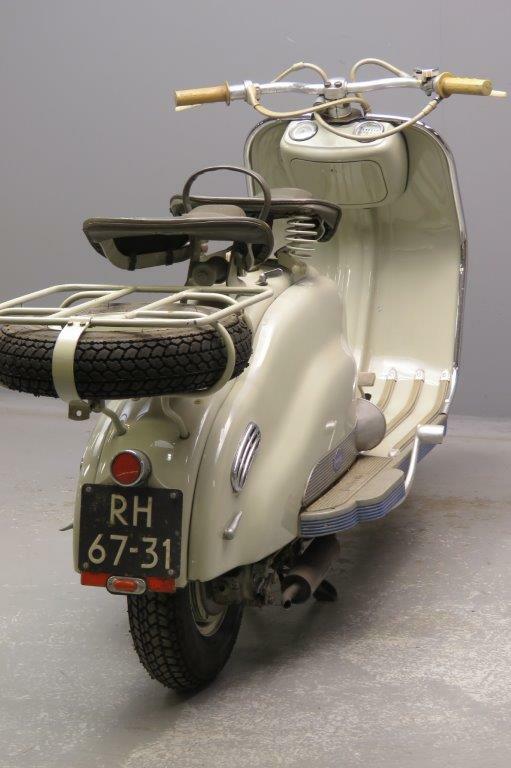 Optional extra’s that are listed on the bill of sale include passenger seat, luggage rack and spare wheel. The machine looks as if it has seen little use; it has been restored in the past and shows a very pleasant patina.